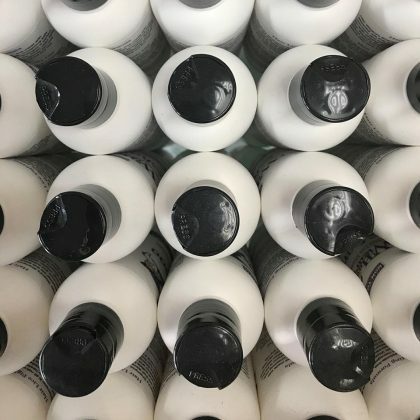 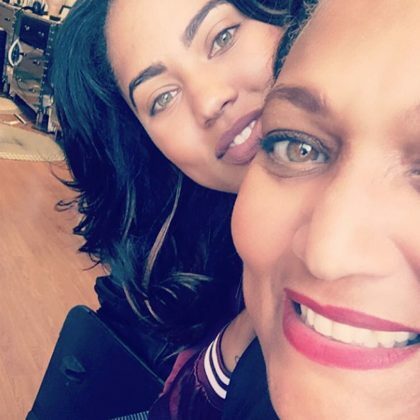 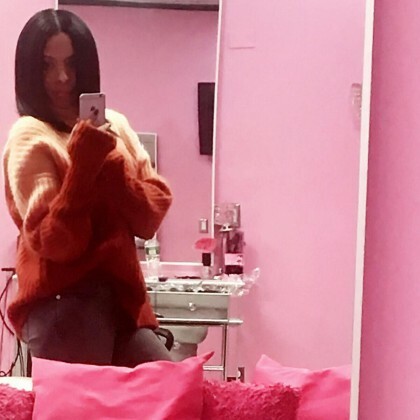 Vanessa Simmons got some “Conditioner” and “Steam Treatments” from hairstylist Queen Boone at RVN Salons in January 2018. 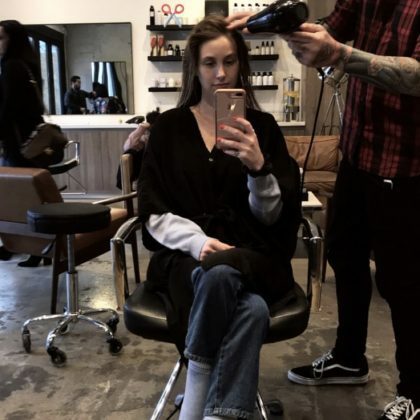 Whitney Port and her husband made a “Quick little trip” to Alen-M, Los Angeles “to get haircuts before we leave” in December 2017. 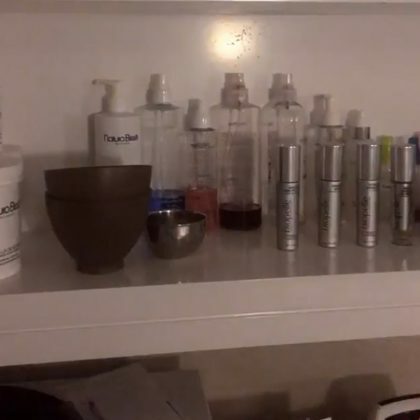 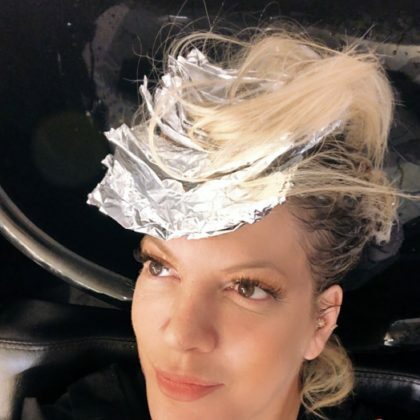 “Nothing but sexiness happening right now” is what LeAnn Rimes said when she had her hair done at dpHUE in November 2017. 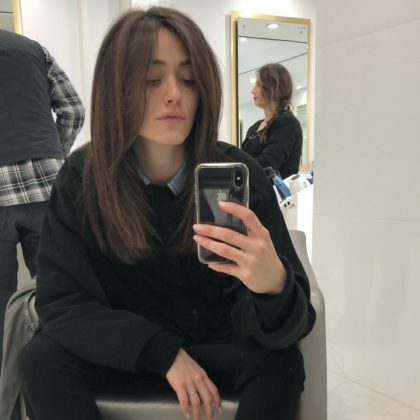 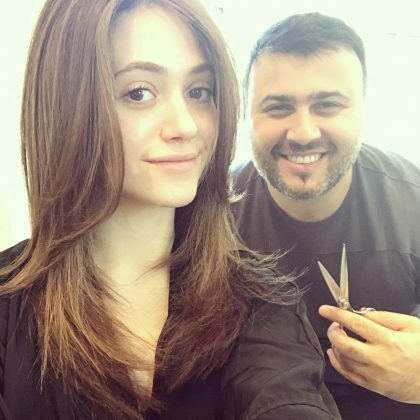 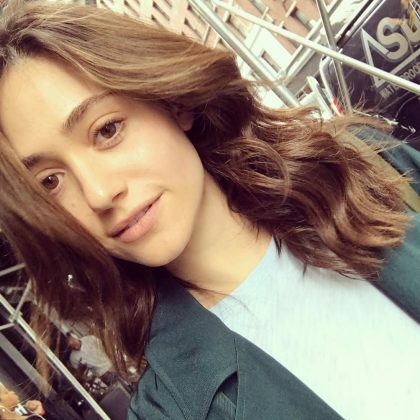 Emmy Rossum got a little “chop chop” at Arsen Gurgov salon in October 2017. 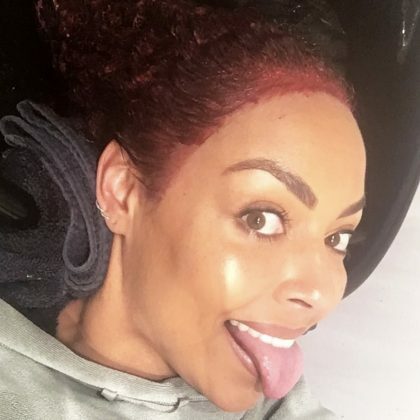 Dancer Ashley Everett spent an October 2017 “Hair day” at Curls OneOnOne, getting a “Dry trim by @donateladevacurl” and having her “Roots & highlights” done. 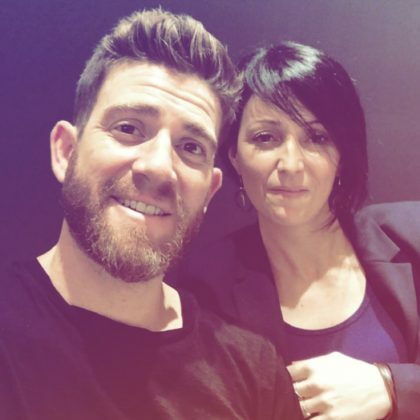 Bryan Greenberg got a “Fresh cut by @marionsimonetti” of Martial Vivot Salon Pour Hommes, Midtown in October 2017. 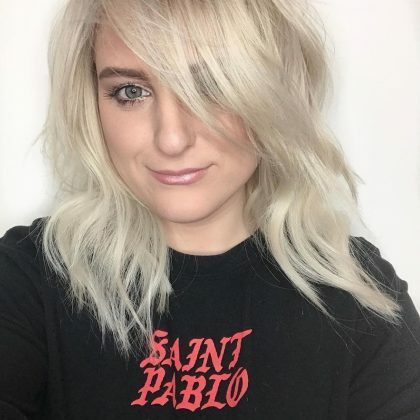 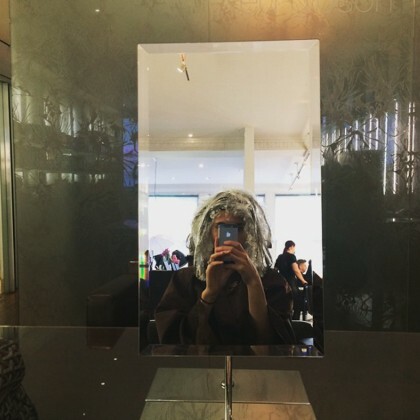 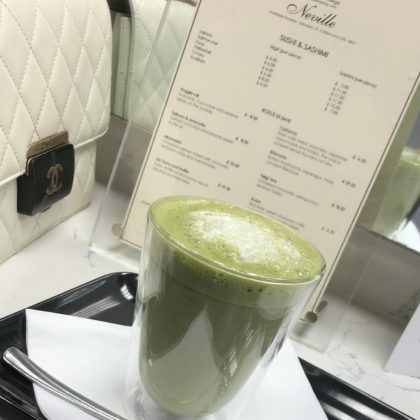 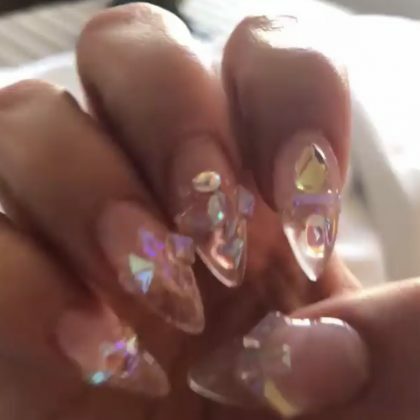 “Gettin that hair touch” is what Ashley Tisdale said when she sat in Anja Burton’s chair at 454 North Salon in September 2017. 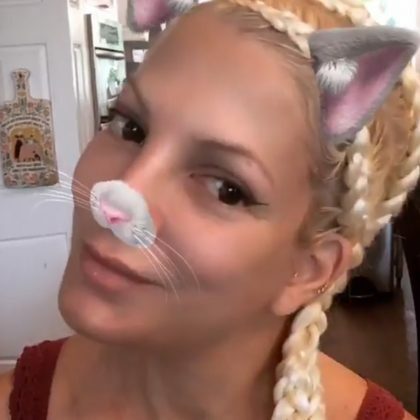 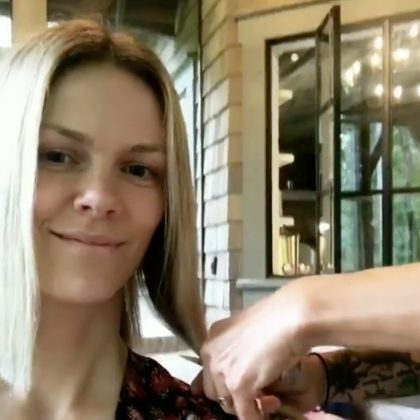 “This just happened” is what Tori Spelling shared in September 2017 after she got “#cornrows” at ChristianJavaun. 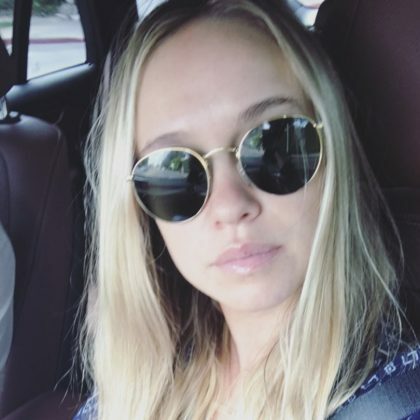 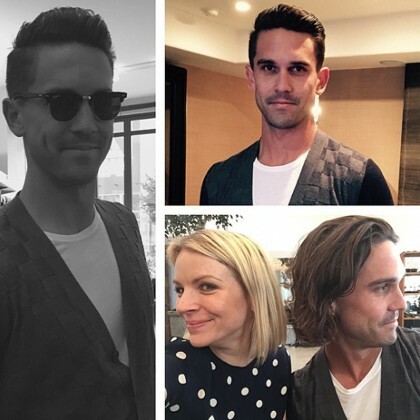 “Took some length off” was Becca Tobin’s report regarding her September 2017 hair appointment here. 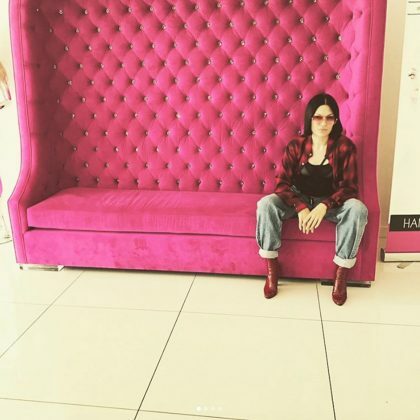 Sofia Richie sat in the Thomas Heinz New York chair of the “Perfectionist himself @thomasheinzny” in August 2017. 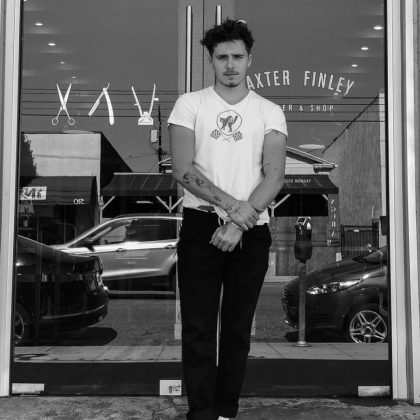 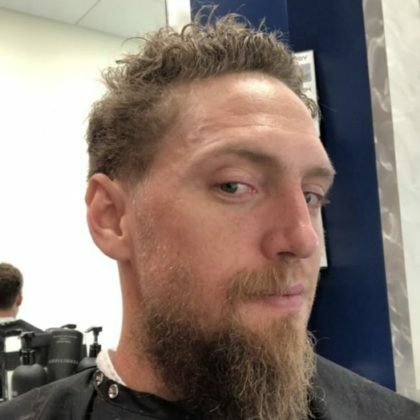 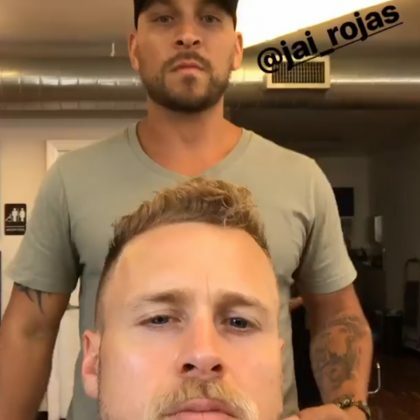 Spencer Pratt put his hair in the hands of Jair Rojas when he checked in at Shorty’s Barber Shop in August 2017. 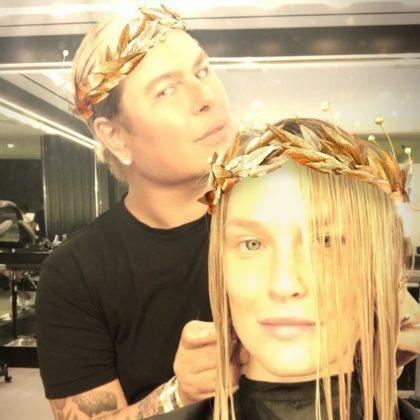 Candice Swanepoel had her hair done at Maison Luizza in August 2017. 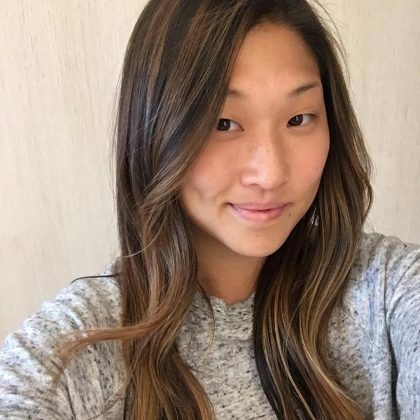 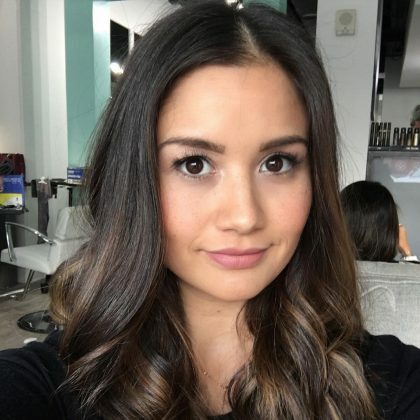 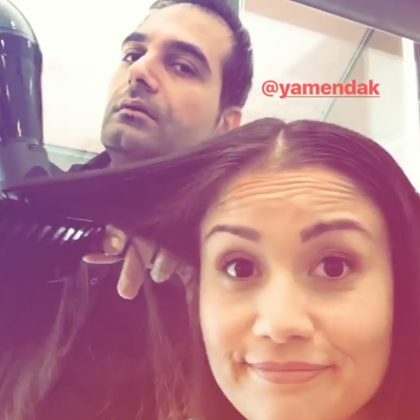 Catherine Giudici’s hair was in the hands of Frederic Fekkai Salon, Dallas stylist Yamén Dak in July 2017. 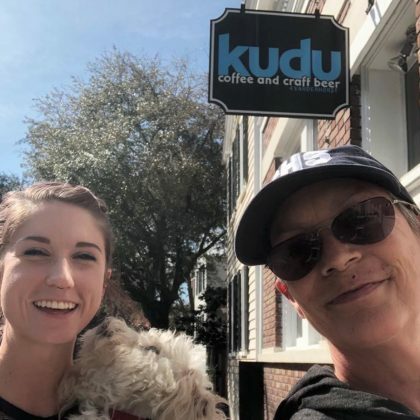 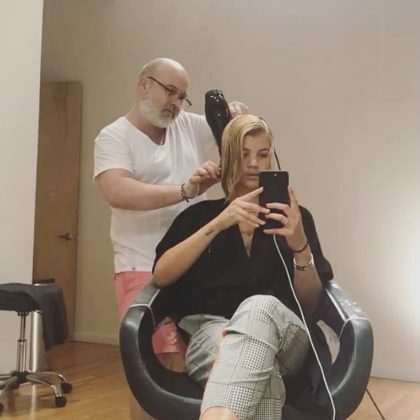 Karlie Kloss snapped a mirror selfie after going platinum at Orlo Salon in July 2017. 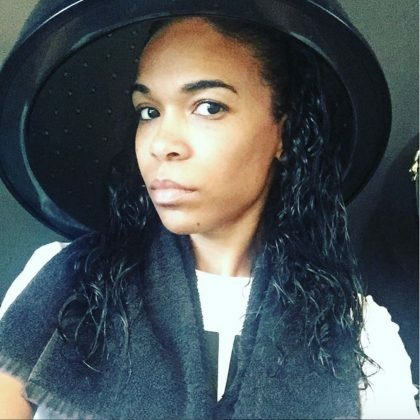 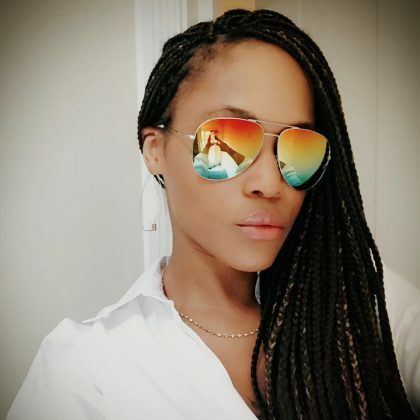 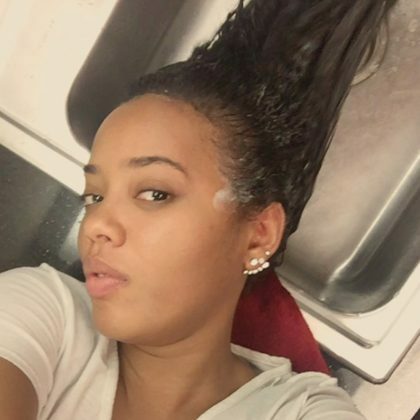 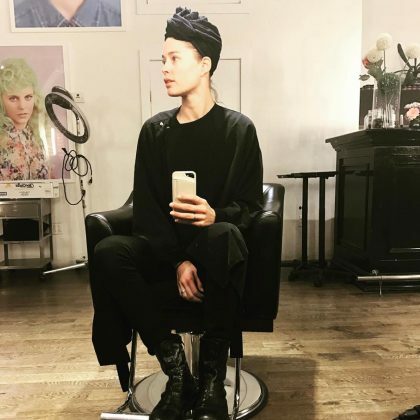 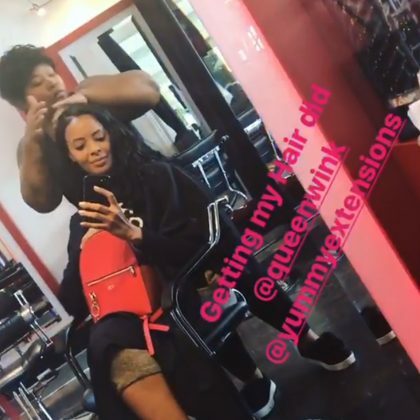 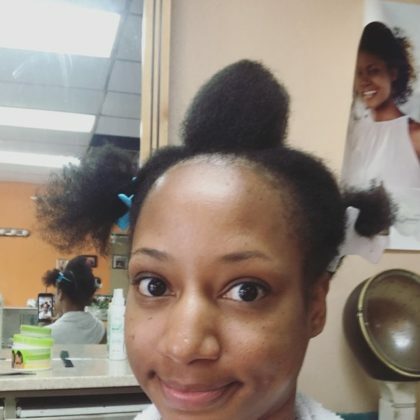 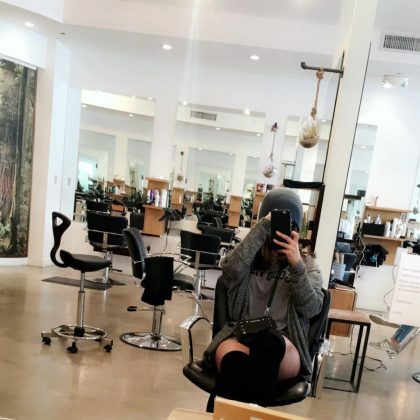 “Getting my Hair did” is how Vanessa Simmons captioned her mirror selfie at RVM Salons in July 2017. 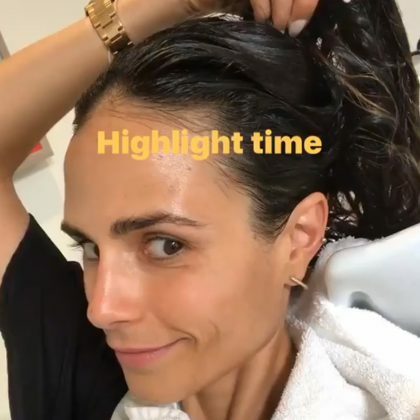 It was “Highlight time” here in June 2017 for Jordana Brewster. 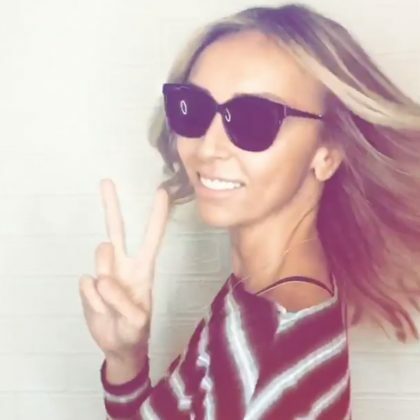 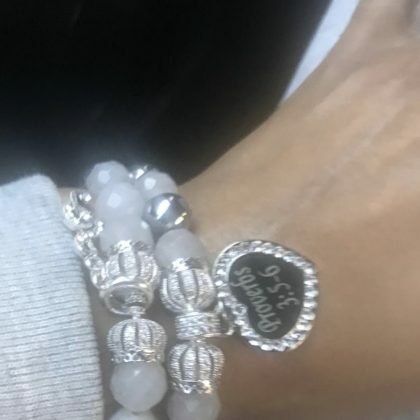 Giuliana Rancic came in for a “fresh hair cut and color” in June 2017. 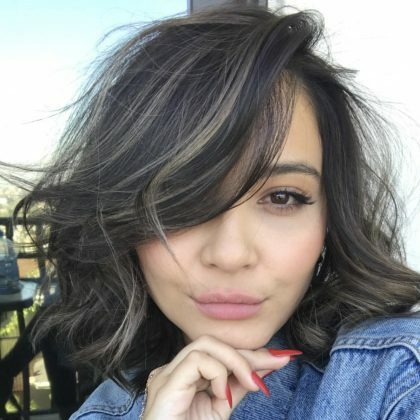 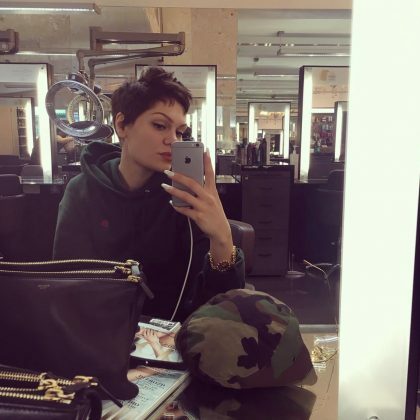 “It was time for a minor hair change . 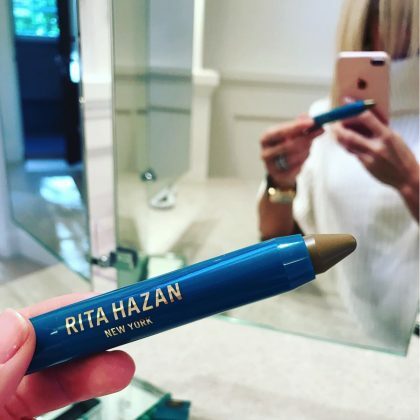 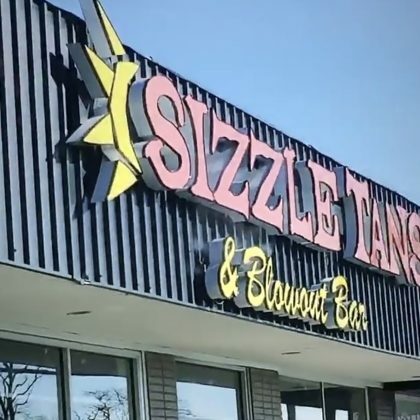 . . @brianacisneros you never disappoint” is what Audrina Patridge said about getting some “#summertimecolor” here in June 2017. 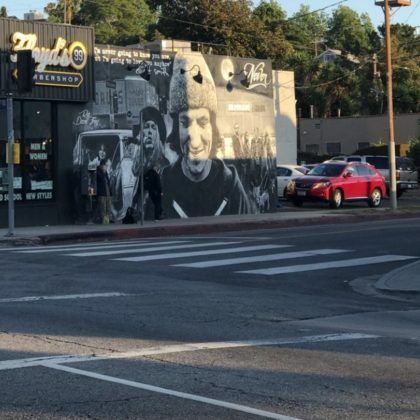 “I love this mural” is what Busy Philipps said when she went by Floyd’s 99 Barbershop, Silver Lake in June 2017. 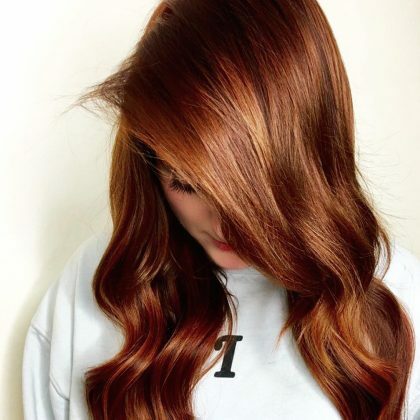 Selena Gomez﻿ shook her hair to show off her gorgeous color courtesy of “@ninezeroone” in June 2017. 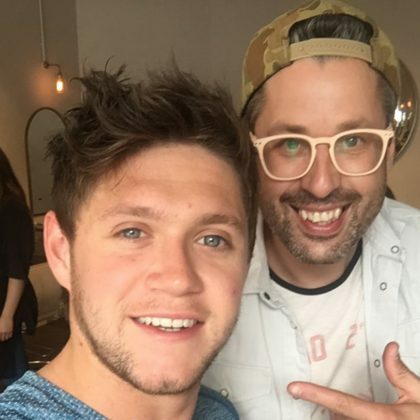 Niall Horan﻿ paid a “Little visit to see the main man @larrykinghair” at Larry King hair salon in June 2017. 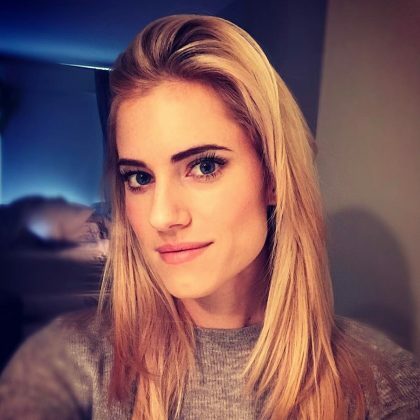 Ramirez | Tran Salon was responsible for Jessica Lowndes’s “Sunkissed” hair in April 2017. 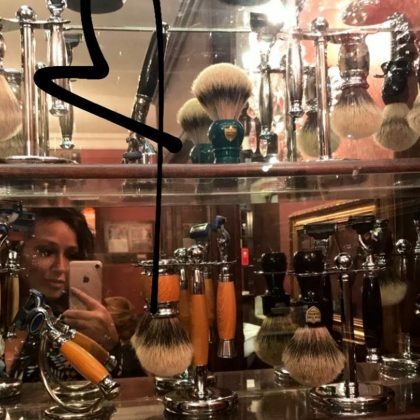 Danielle Jonas spent some time “With my girl,” Broome Street Society stylist/owner ﻿Josie Sanchez﻿, in April 2017. 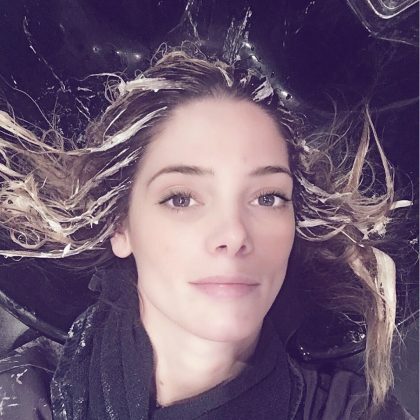 Jana Kramer﻿ was “Going shorter” with her hair and said “Bye Felicia” to several inches while sitting in colorist Leah Hoffman﻿’s chair at Parlour & Juke in April 2017. 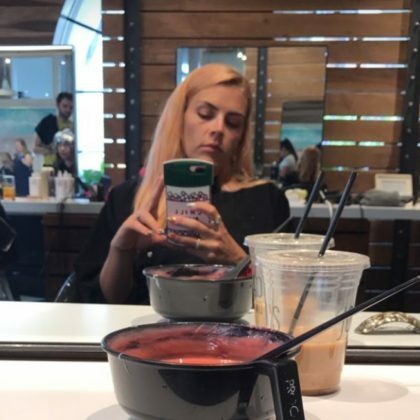 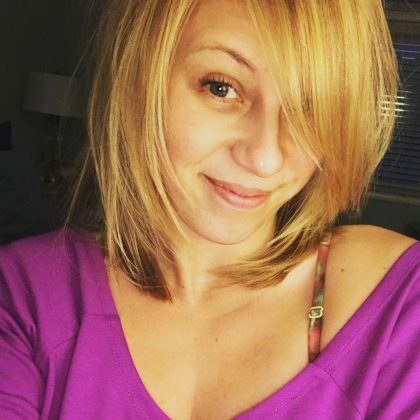 Ali Fedotowsky﻿ had “A little blow out” at Brighton Salon in April 2017. 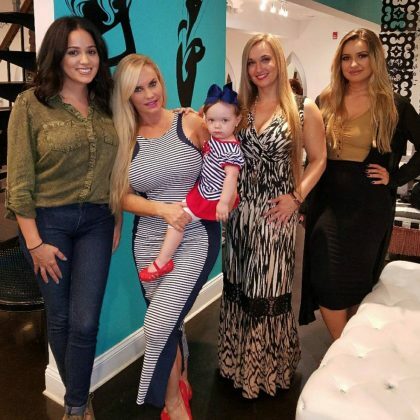 Jenny McCarthy thanked Coast’s owner Sydney Fink “for the cute cute” in April 2017. 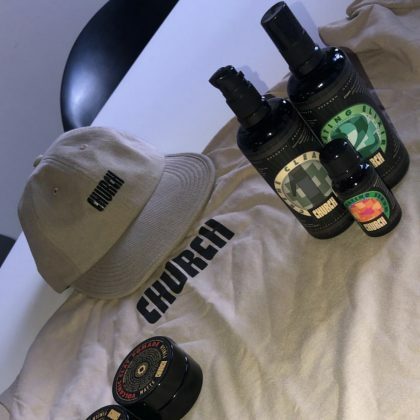 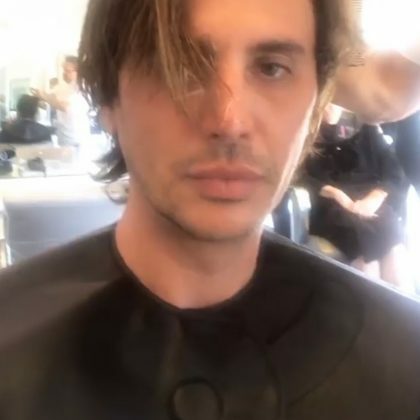 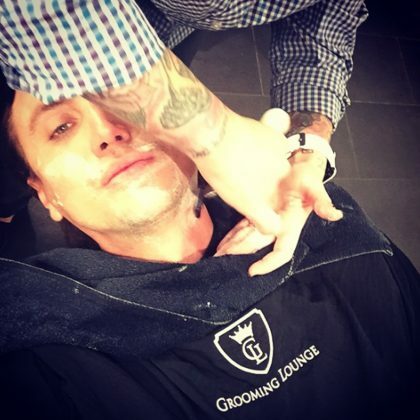 Jonathan Cheban﻿ had his hair cut at Sean Donaldson Hair, South Beach in March 2017. 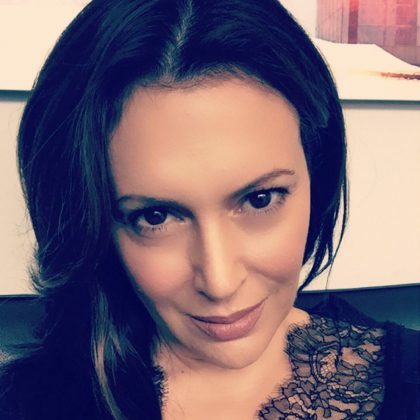 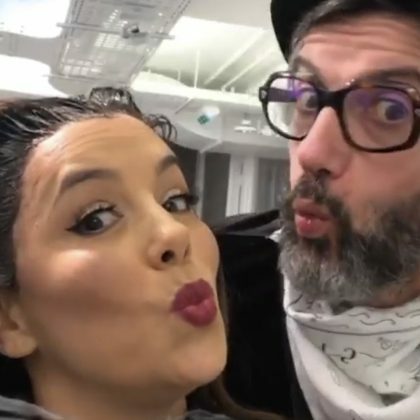 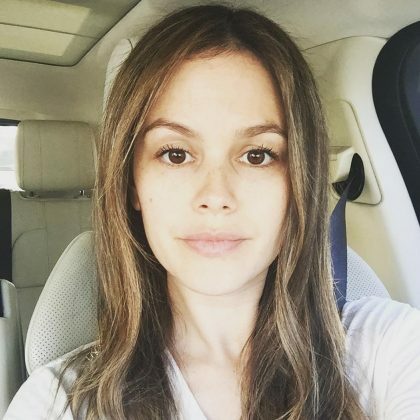 New hair had ﻿Rachel Bilson﻿ feeling “#readyfortheweekend” and thanking “@lorrigoddard_ for the beautiful color and @syd.valentine for the blow dry” in March 2017. 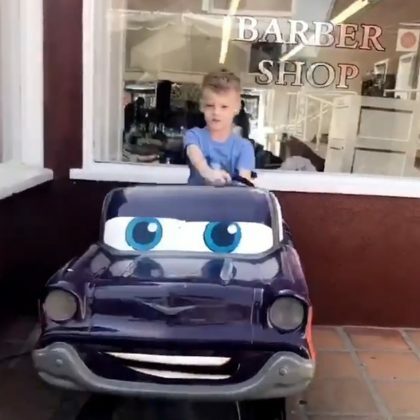 Hilary Duff﻿ watched her enjoy the car ride located outside Lloyd’s Barbershop, Brentwood Country Mart in March 2017. 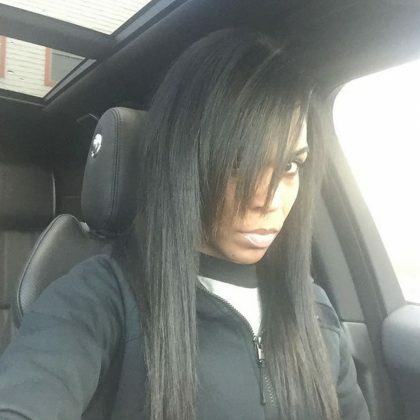 “LIVING for my hair!! 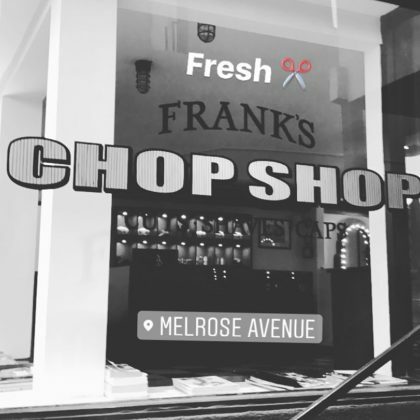 Chop chop! 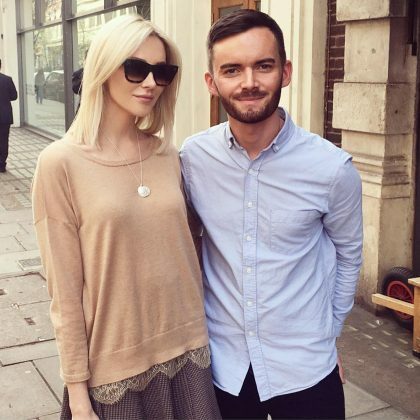 You’re the best @jackcardiff1” is what Stephanie Pratt said about her appointment here in March 2017. 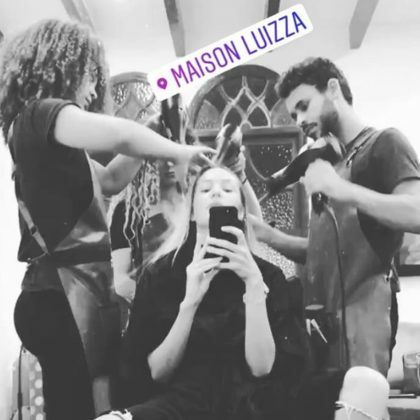 Doutzen Kroes snapped a “Mirror selfie in the salon” while “#gettingmyhairdone” here in February 2017. 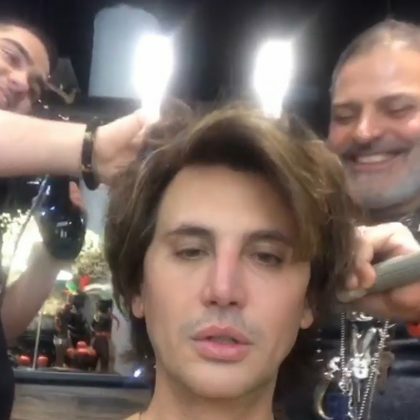 Jonathan Cheban had a “little hair touch up” by stylist Michael, “the master at work,” at Nyumba in January 2017. 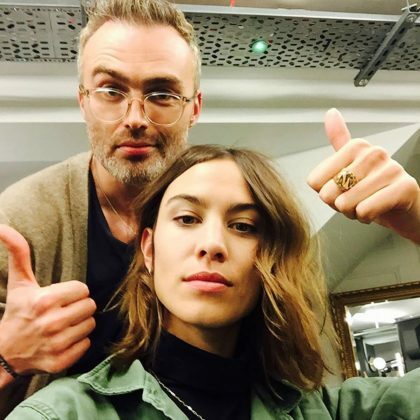 Alexa Chung﻿ “Paid a vist to Ole Scissor Hands himself @georgenorthwood to get that Rachel cut maintenance” in January 2017. 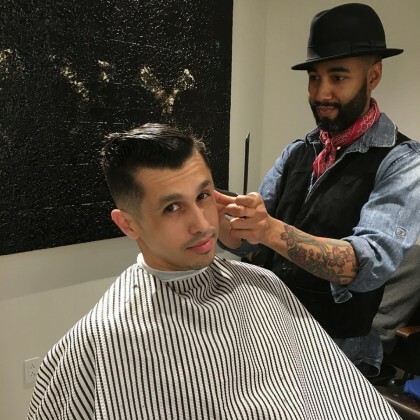 Jessica Alba credited Robert Ramos for giving the “best color in all the land” when she had her hair done in November 2016. 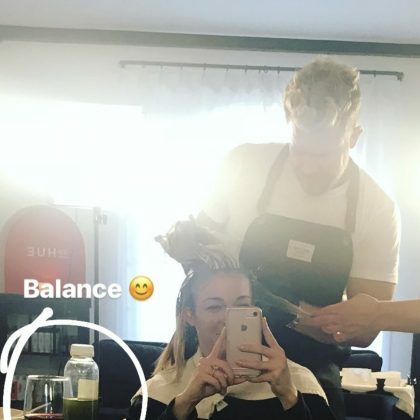 Stephanie Pratt﻿ was “Having my hair coloured and finished” at Robert Kirby London in October 2016. 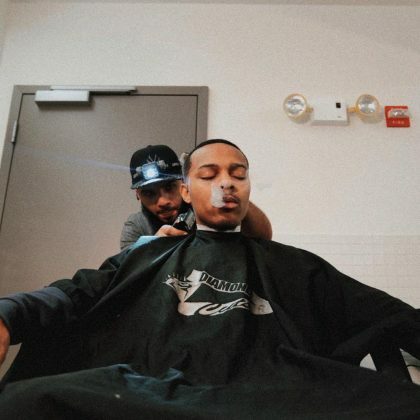 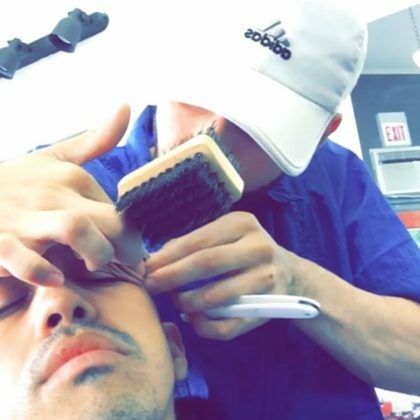 Evan Ross﻿ said in September 2016 that he’s “excited” and “Proud” to be a part of his “new project,” Like a Gentleman Barbershop. 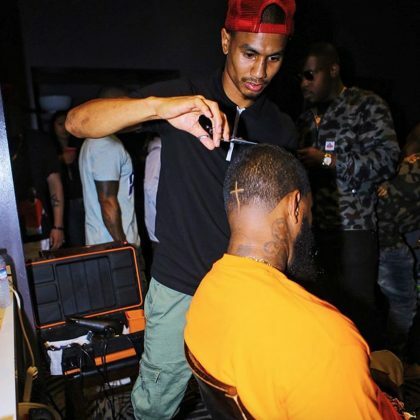 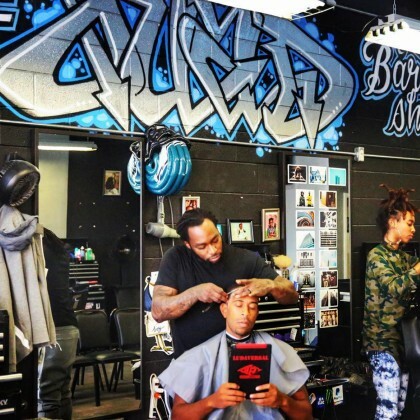 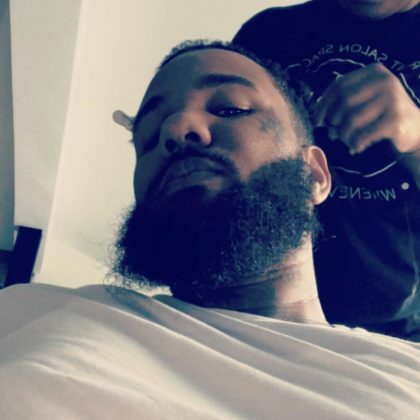 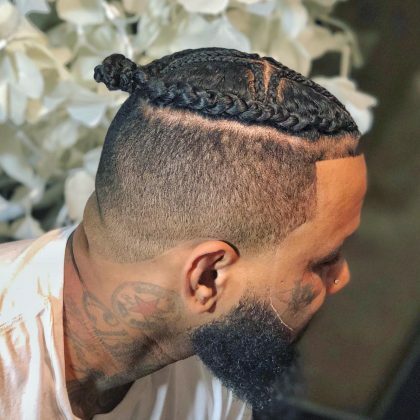 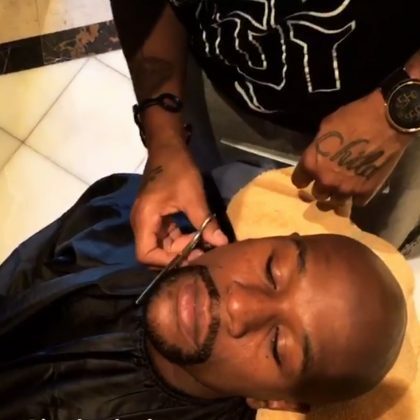 The Game got cleaned up by A Cut Above Barbershop’s stylist in September 2016. 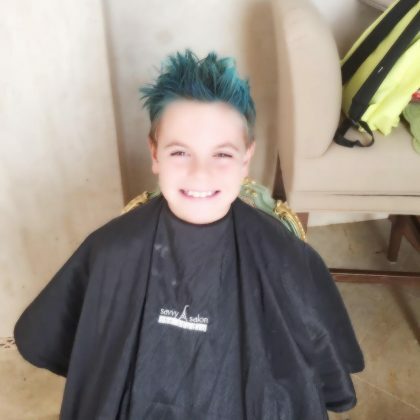 “My son has blue hair!! 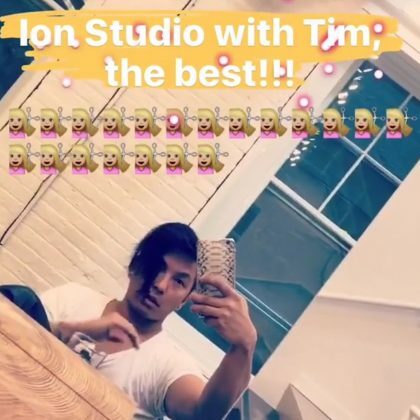 Wheeee!” is what Britney Spears said about a picture of Preston smiling while sitting in a chair at Savvy Salon, The Studio in August 2016. 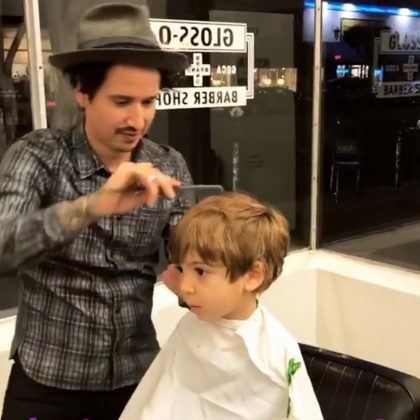 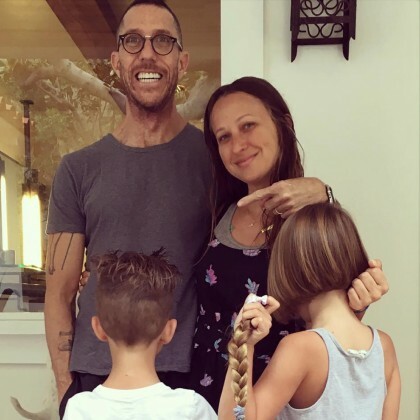 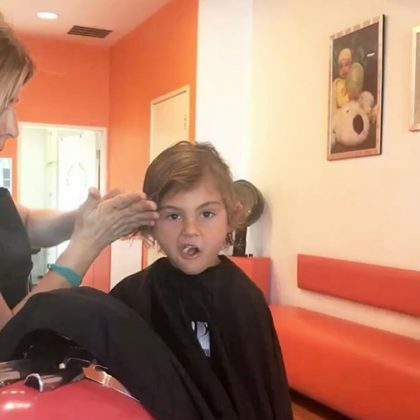 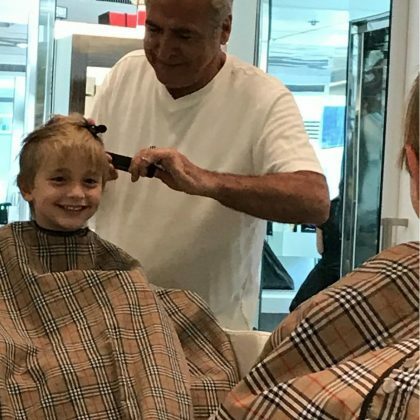 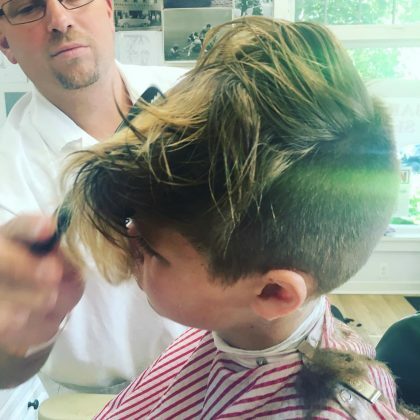 Gwyneth Paltrow﻿ brought son ﻿Moses Martin﻿ to Vinnie and Nick’s Barber Shop for a “Summer surf/skate cut” in August 2016. 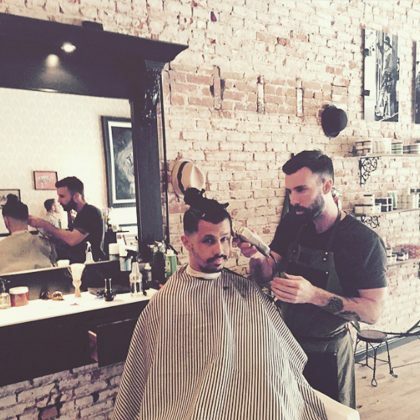 O-Town﻿’s ﻿Erik Estrada﻿ got some “Lines” courtesy of L&J Cuts in August 2016. 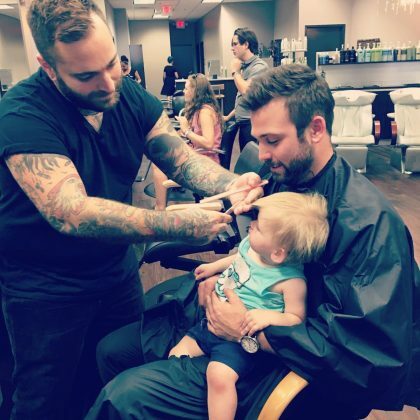 Emily Maynard documented her son’s “First haircut with dad” at Carmen! 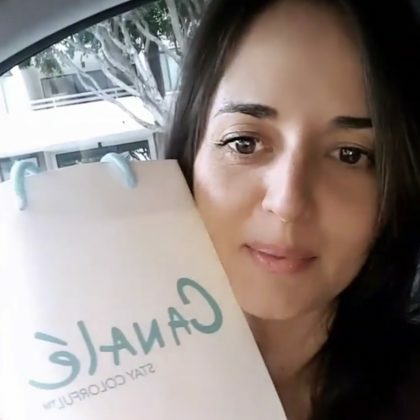 Carmen! 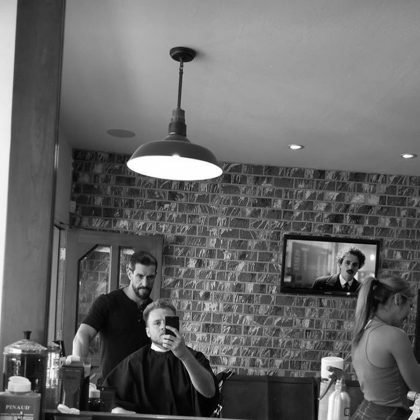 Salon, Costwold in July 2016. 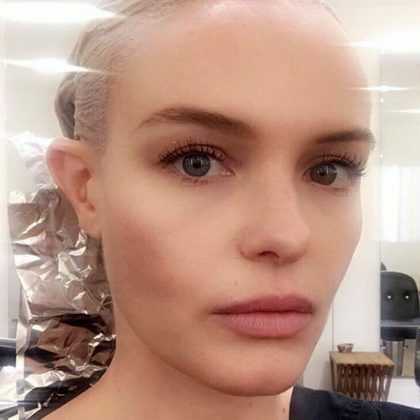 Rosie Huntington-Whiteley﻿’s “Summer blonde” look in July 2016 was all thanks to Goddard + Bragg stylist Cervando Maldonado. 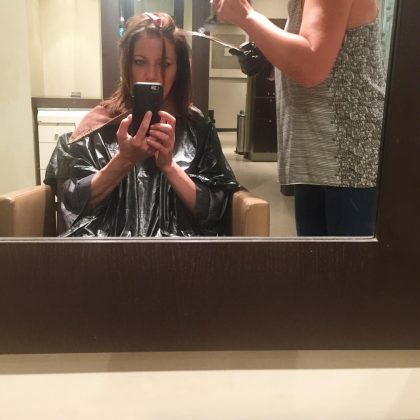 Martina McBride﻿ was “Getting a little something fresh” at Trumps Salon & Spa in July 2016. 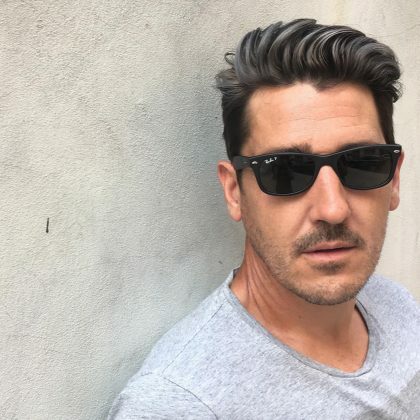 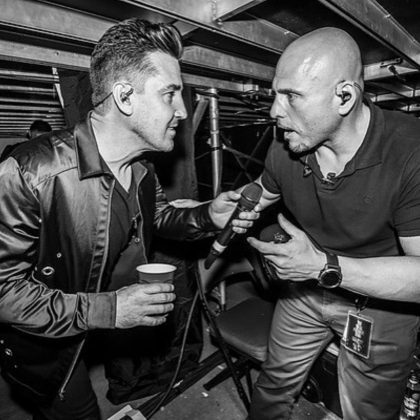 New Kids on the Block﻿’s ﻿Jonathan Knight﻿ thanked Redken Exchange’s Sean Godard “for the fresh new look” in July 2016. 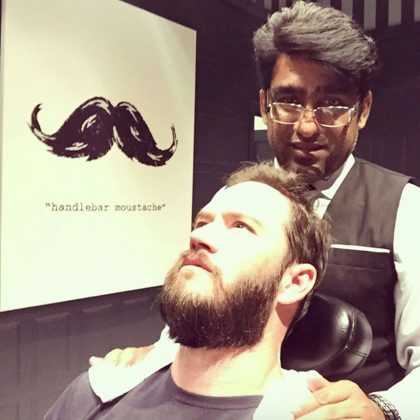 Mark-Paul Gosselaar﻿ felt “So fresh and so clean” after getting a “#trim” at The Art of Shaving, Sherman Oaks in June 2016. 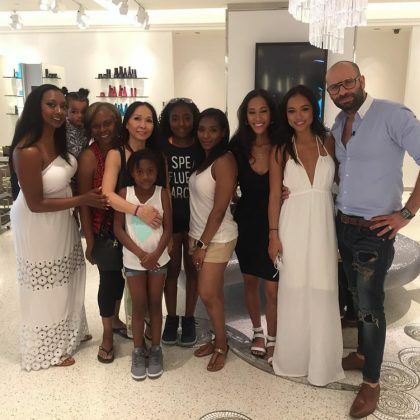 Karrueche Tran “Paid a visit to” Alen M Femme Coiffure’s Alen M and Tyron Dupre in June 2016. 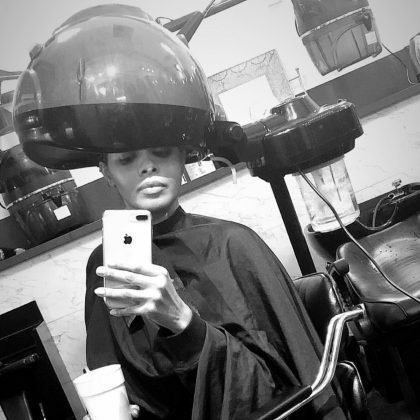 Adriana Lima﻿ said she was “Loving my hair treatment” by Rio Palace Salon’s Ze Pedro in June 2016. 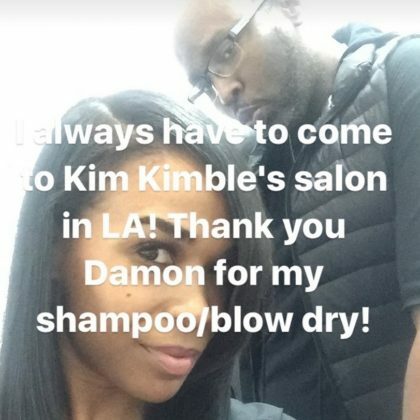 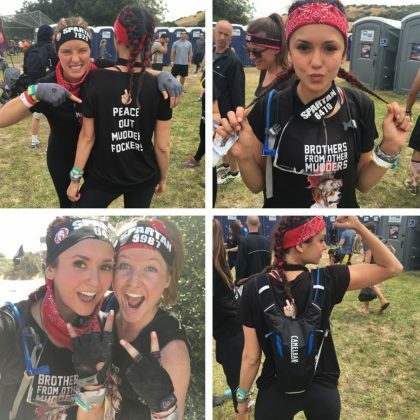 Kat Graham﻿ gave a shoutout to LMG Studio’s Robear Landeros for her cool ‘do in June 2016. 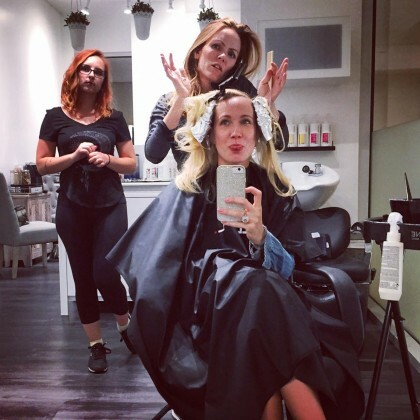 Anna Camp said “We’re going blue” when she was in the chair of Glaze Studio Beverly Hills owner Lisa Prova in April 2016. 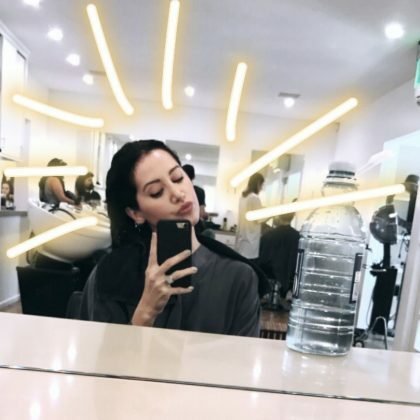 Stephanie Pratt seemed pleased with her braided ‘do from Duck & Dry in April 2016. 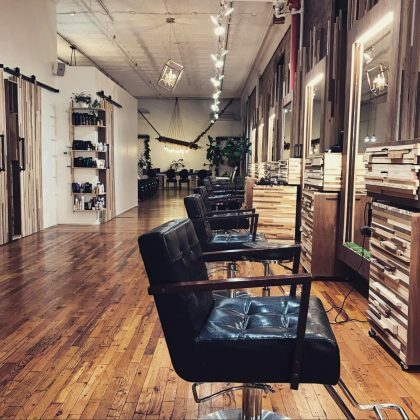 Laverne Cox﻿ was “Giving full ##BeautyShop #Realness” at Hair 91 in March 2016. 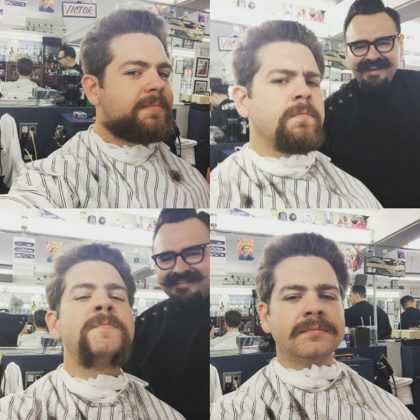 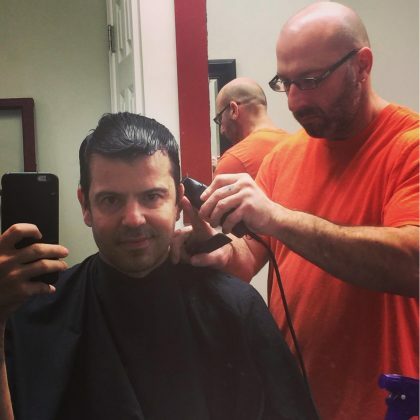 O-Town﻿’s ﻿Erik Estrada﻿ got clipped by Blind Barber’s Matt Southerland in March 2016. 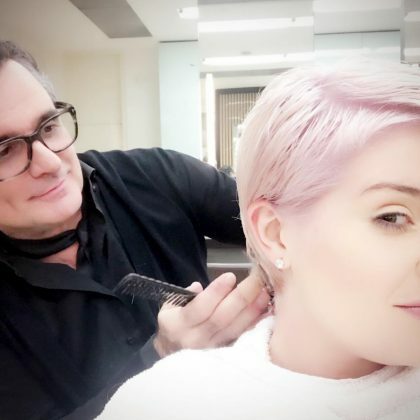 Lori Loughlin said, “Now I’m ready to start the new year” after getting “Fresh hair color” by Jonathan and George Salon’s Amanda George and Allie Paronelli in January 2016. 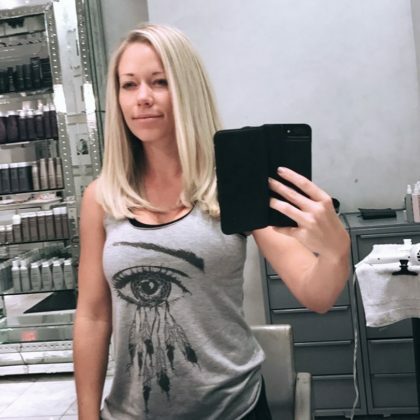 A braided Kendra Wilkinson-Baskett was “Loving my hairstyle” from Maven Beverly Hills in December 2015. 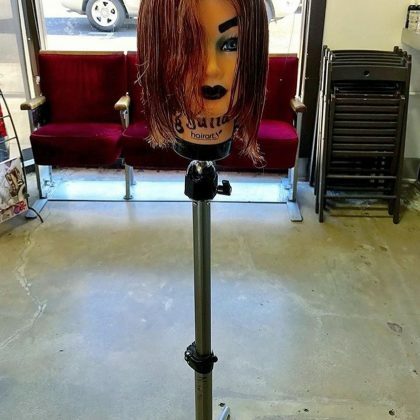 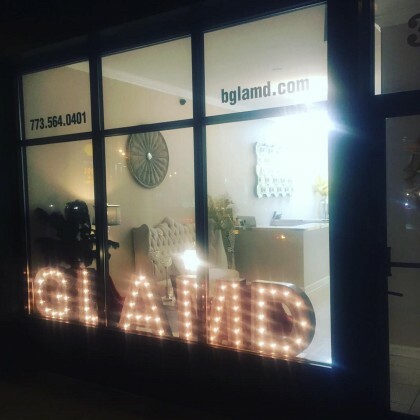 Giuliana Rancic got her haircut and said she was “Shagging it” at Studio 110 in October 2015. 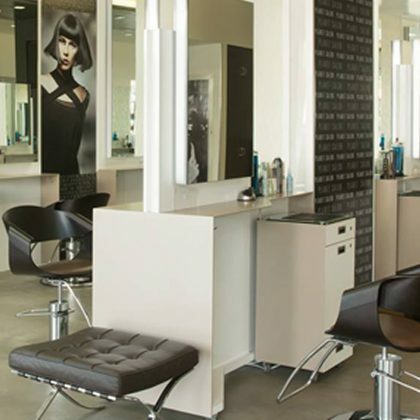 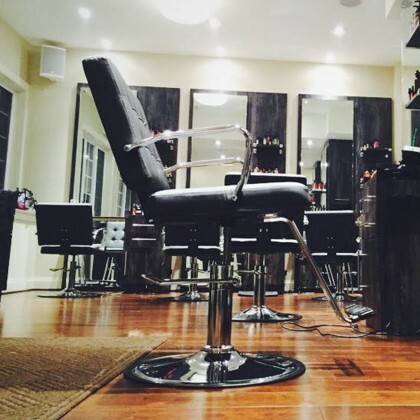 Jessica Lowndes thanked Le Salon by JM Henry “for the amazing blow out” in October 2015. 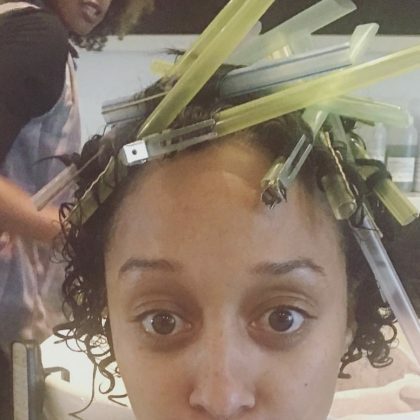 Mel B “Just got my hair did” at Brasilian Blow Dry Bar in October 2015 and showed off her shiny, straight locks. 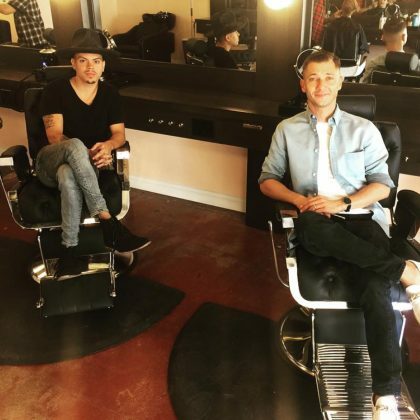 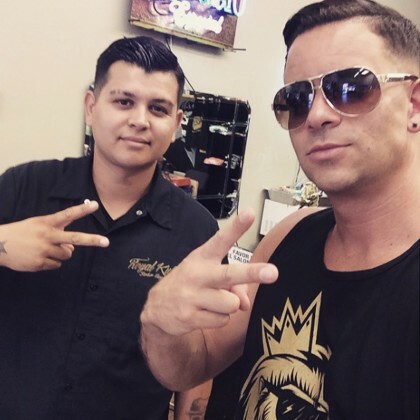 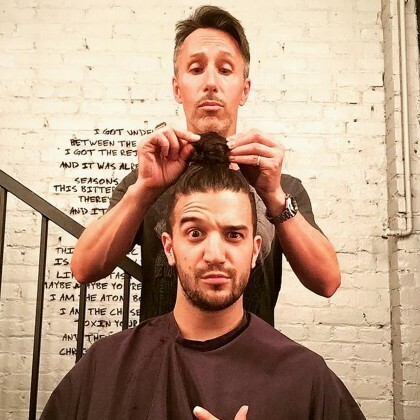 Mark Ballas had James Kendall Salon’s Rick Farber come to his “video shoot/rehearsal to trim up the do” in September 2015. 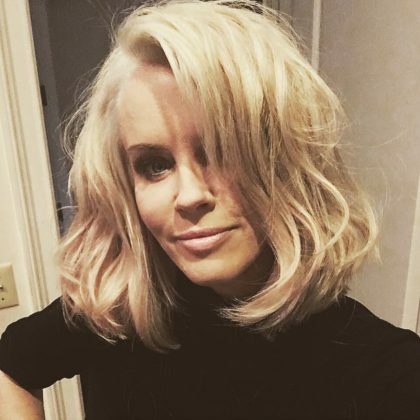 Jenny McCarthy had her light pink locks done by Julius Michael Scarsdale Hair Salon in September 2015. 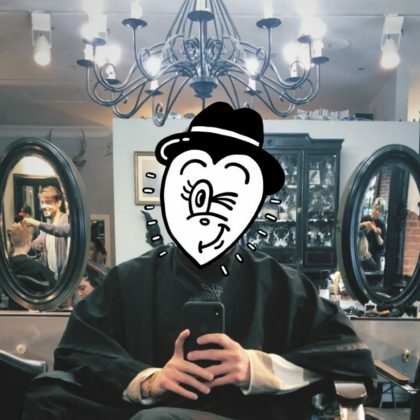 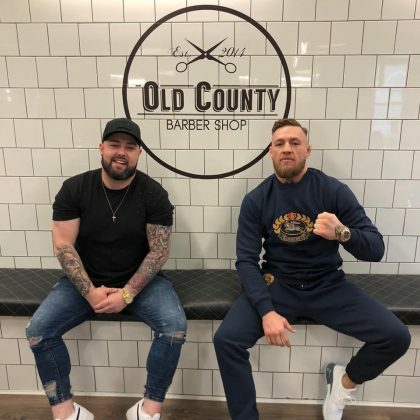 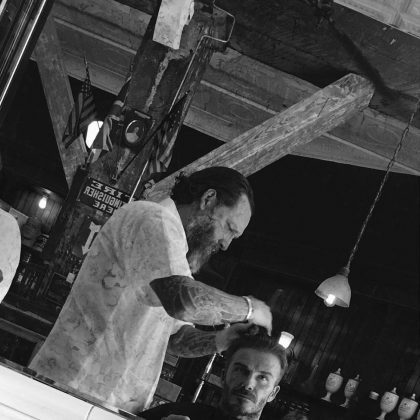 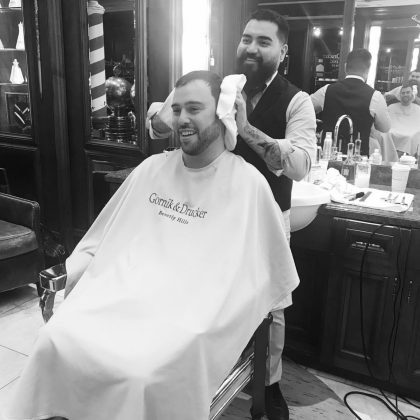 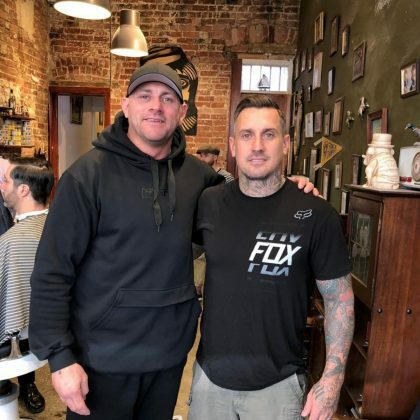 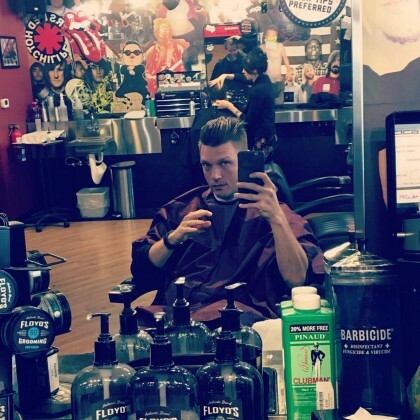 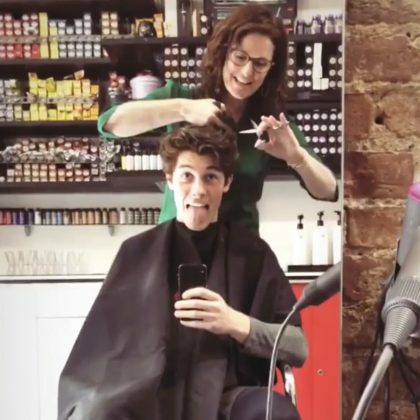 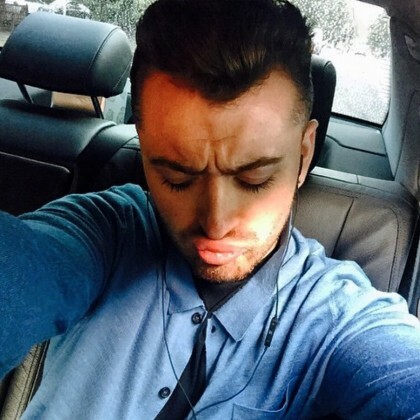 Sam Smith often gets his hair done at Paul Edmonds — in February 2015 he made a “Quick visit to my favourite man,” was back with his hair stylist in March 2015, and had a “Fresh trimmmmm from my favourite man” in August 2015. 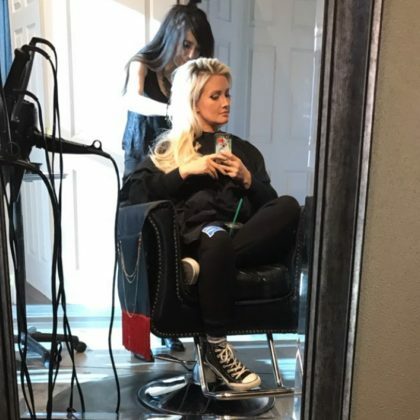 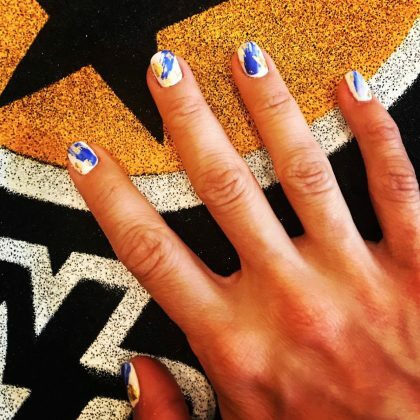 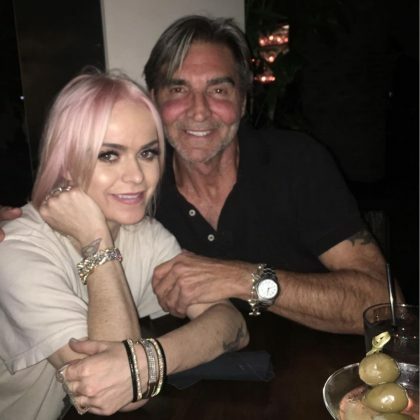 “What doesn’t kill you only makes you blonder” is what Miranda Lambert said of her new ‘do thanks to Style House Salon’s owner Lee Wright in August 2015. 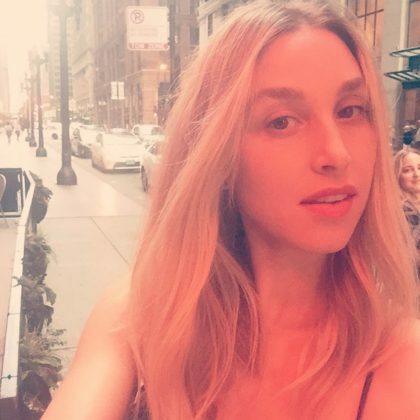 Whitney Port was grateful for her “GORG hair” thanks to Blowout Junkie in August 2015. 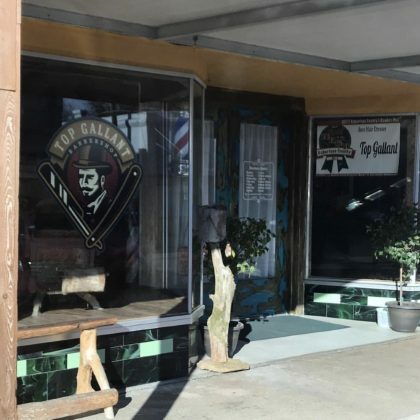 Erik Estrada﻿ got “#showready” at Mister Brown’s in April 2015. 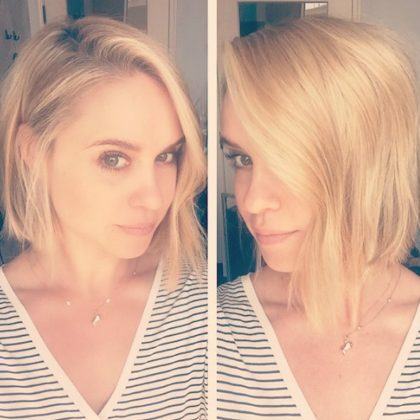 Becca Tobin showed off her short locks courtesy of Lux La Jolla Hair Studio’s Sherri Belanger in April 2015. 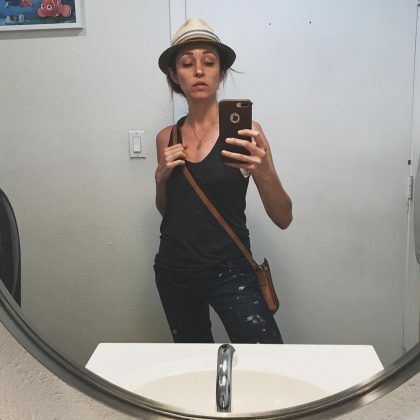 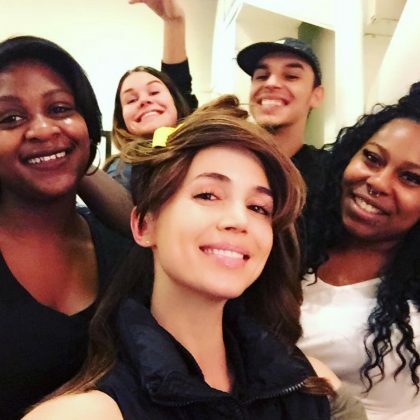 Autumn Reeser﻿ thanked Planet Salon’s Dean Roybal for her new haircut in March 2015. 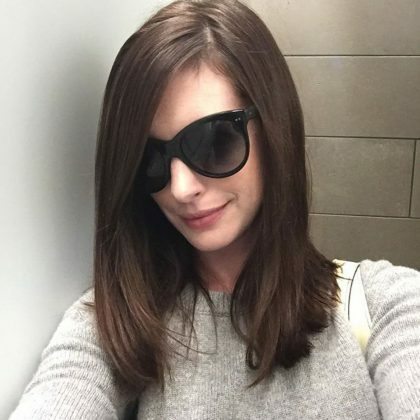 Jessica Lowndes got an “amazing blow out” from Drybar, West Hollywood stylist Brooklyn in March 2015. 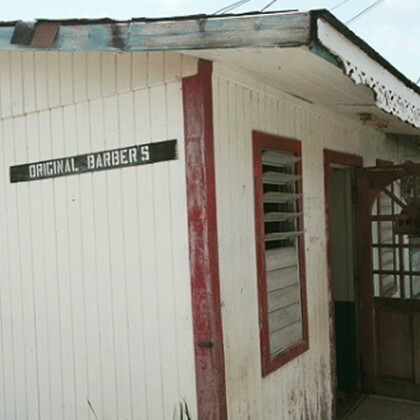 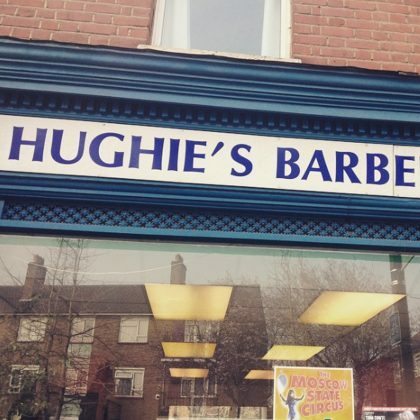 Hugh Jackman﻿ pointed out Hughie’s Barber Shop when he passed by in March 2015. 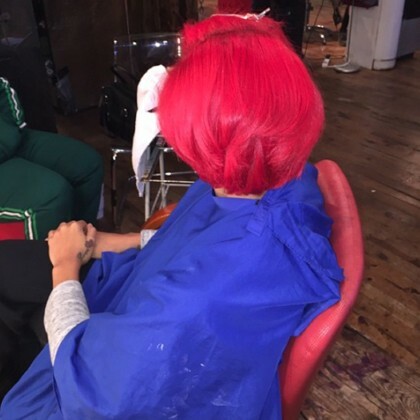 Gwen Stefani was “Getting my hair did” in March 2015 by her “#homie” and “#myfirsthairdresser” at Kristoff Ball Salon. 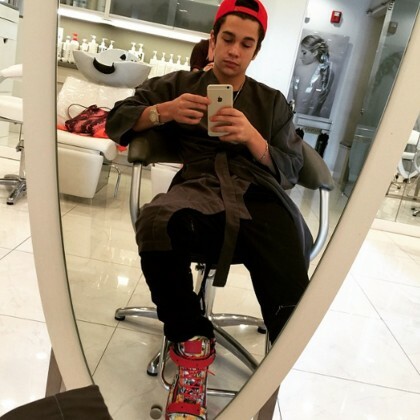 Austin Mahone was “Trying something new” when he got a haircut by senior stylist Eduardo Bravo here in January 2015. 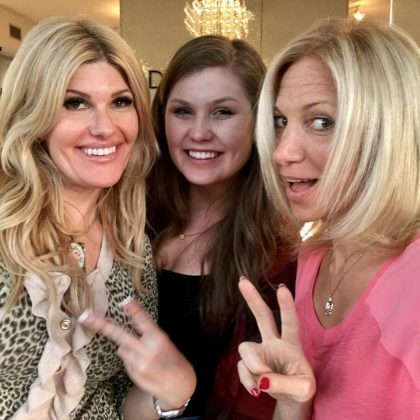 Tori Spelling modeled her “new do” after a December 2014 visit to Rossano Ferretti HairSpa. 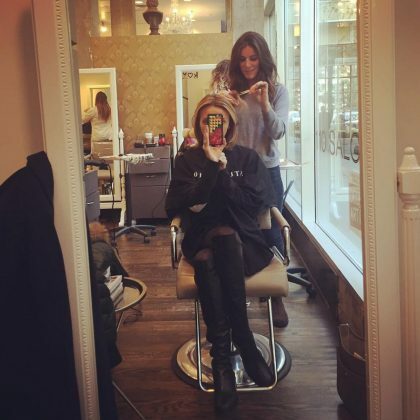 Stephanie Pratt said her hair was done for a November 2014 night in Mayfair thanks to her “fave” salon. 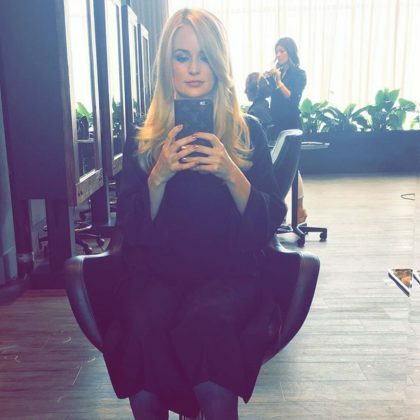 Candice Accola reminisced in October 2014 about getting her golden locks colored and cut with “the #WENmaster himself,” Chaz Dean. 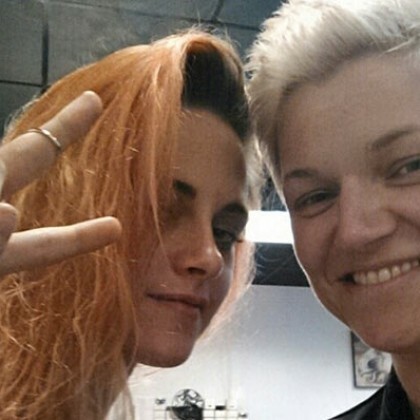 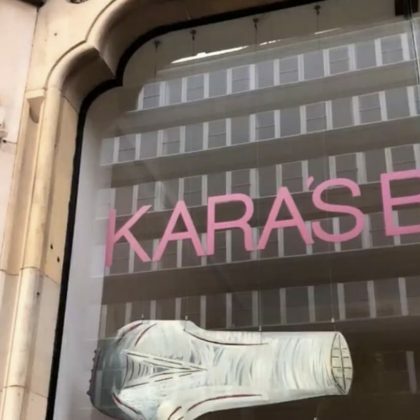 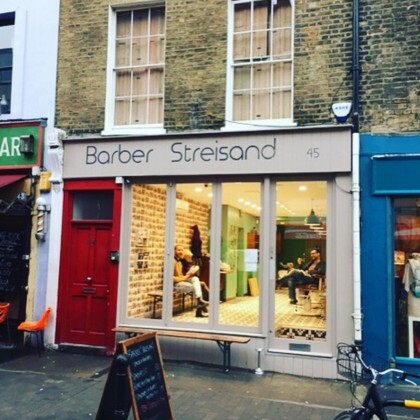 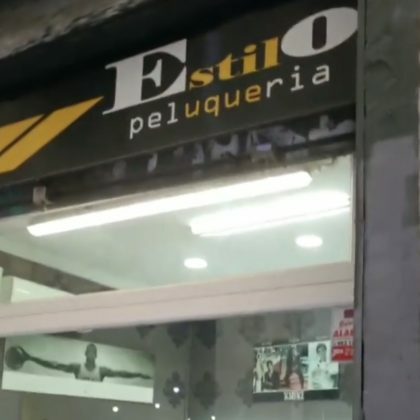 This is the salon where Kristen Stewart lightened her brunette locks to a shade of orange in preparation for a movie role in April 2014.